We repair all screens for the Apple iPhone, iPad and iPod. We offer a VHS, Slide, Negative and Audio Cassette Transfer Service at a rate that won't be beaten in the UK! 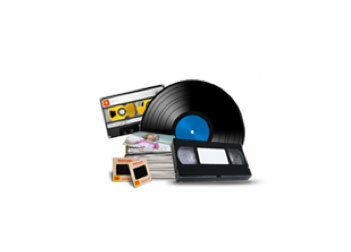 Convert your old VHS Tapes to a DVD for viewing at home or a PC file for sharing on social media websites. Slide and Negative to DVD to play at home or file format to share on the internet. Bring back those old tunes with our Cassette Tape to CD or Computer file conversion! £9 per Video Cassette Transfer - CALL NOW! £6 per 25x Slides or Negatives Transfer - CALL NOW! £8 per Audio Cassette Transfer - CALL NOW!